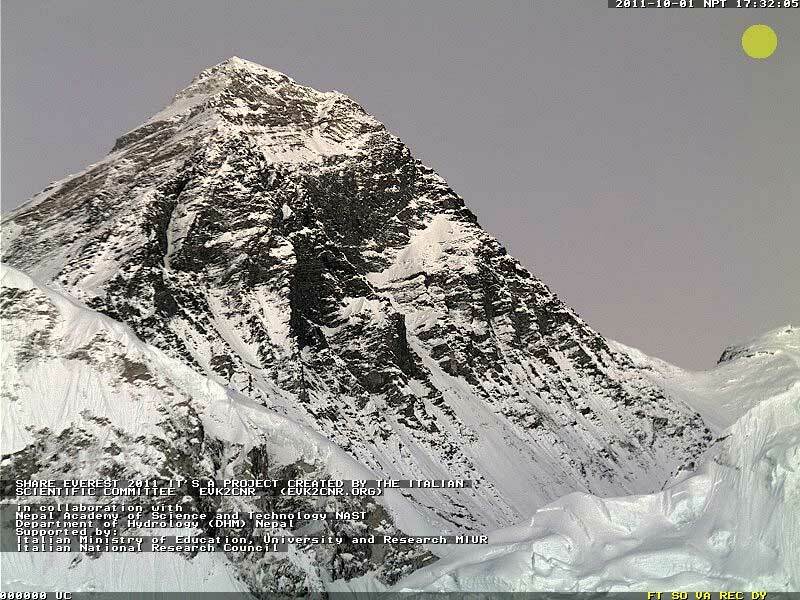 You can view the new web cam at the base camp (18,000') for Mt Everest. It is only available during daylight hours in Nepal (between 6:00 a.m. and 6:00 p.m. Nepalese time). It runs on solar power. This means we can can only see it during the morning in the Catskill Mountains. Beautiful picture. But, it looks like the cam might be frozen.